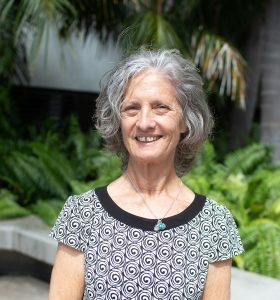 Dr. Maureen Donnelly research focuses on the ecology and evolutionary biology of neotropical amphibians and reptiles with a focus on species from Central and South America. Explores the factors associated with faunal decline in northeastern Costa Rica, the effects of fragmentation on population genetic structure, and how animals survive in plantation systems. Girl Power in STEM (GPS) is a unique opportunity for 8th grade girls in Arkansas to gain hands-on experience and learn about careers related to science, technology, engineering, and math. The event is hosted on the campus at the University of Central Arkansas (UCA). Girls will interact directly with female professionals (primarily from Arkansas) and current UCA students to develop a greater understanding of their own potential and power. This exceptional event will encourage girls to pursue academic excellence in their high school and college years, as well as providing them with a “college day” experience. Girl Power in STEM aims to empower girls at a time in their life when they tend to lose interest in science. Eighth grade is a pivotal age, when girls internalize negative stereotypes that discourage academic achievement and face increased peer expectations and social pressures. This conference commends girls for both their current successes and future potential, and gives girls the chance to visualize what they can become if they aim high and continue to achieve. In addition, when girls hear from women that came from similar backgrounds and towns they learn that with hard work and support careers in these fields are attainable and rewarding! Join us April 26, 2019 at the University of Central Arkansas for this years GPS conference. Estimated Participation: 300 girls from around the state.